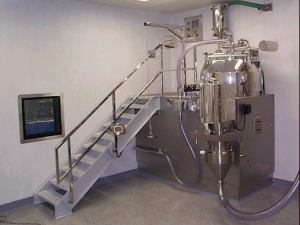 The Granulator can now have multi uses; the most important feature to the granulator is the endpoint control. Should the main agitator have an inverter to control the speed, the torque control can be used to sense an endpoint of the granulator which can be validated to repeat the exact endpoint through the PLC. The processing chamber is dome shaped to direct loose particles into the vortex flow which is created by high-speed agitator blades. This high vortex flow ensures fast, thorough mixing of particles irrespective of varying specific gravities wet or dry. Combined with the vortex flow, a high-speed cutter gives fast and even granulation throughout the whole mass of the product. 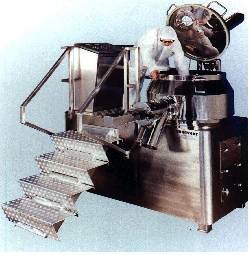 Both the agitator and high-speed cutter are fitted with air purged seals which are washed with an inbuilt cleaning system, without removal of any machine parts. 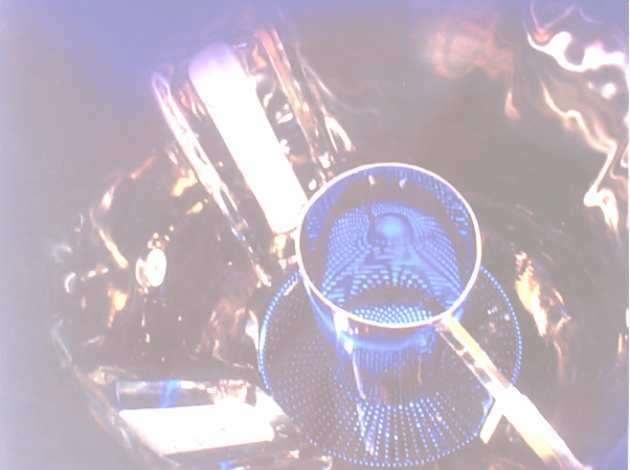 Should environmental problems arise when drying solvent based granule, the granulator can be heated on all sides, including the cover, and dried under vacuum removing, also retaining the solvent within a recovery system.